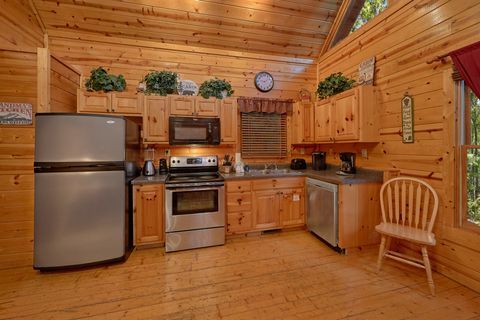 "Endless Joy," a 2-bedroom cabin between Gatlinburg and Pigeon Forge in Sky Harbor Resort, gives guests the chance to escape your everyday routine for an extraordinary vacation in the Smokies. 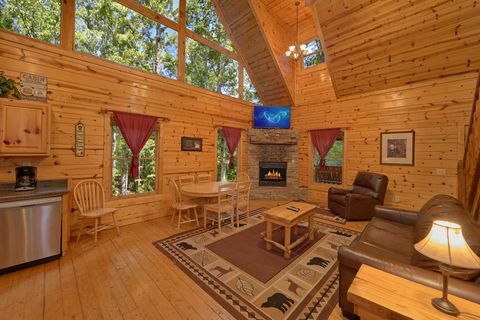 Your cabin in the Smoky Mountains accommodates up to 10 guests and provides them with easy access to attractions as well as great cabin amenities that will make your family vacation in the Smokies worth remembering! 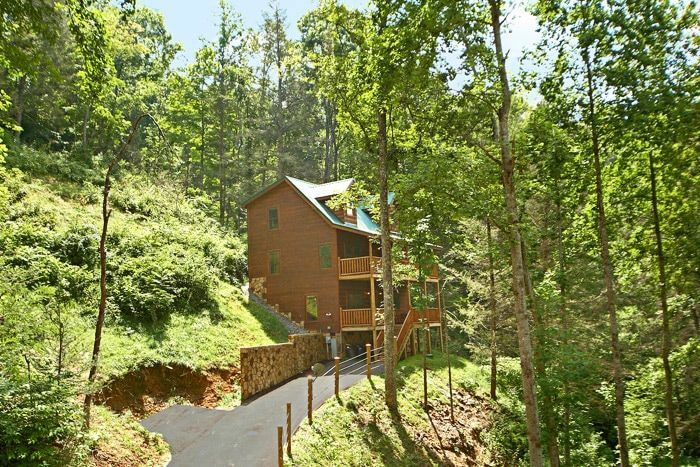 "Endless Joy" offers vacationers a spacious, three-level cabin in the Smoky Mountains. 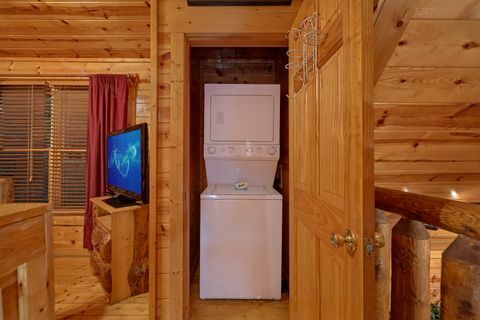 As you enter on the 1st level you'll discover an entire game room with a pool table, foosball, ping pong, air hockey, television, and two sofa sleepers, giving you and your guests plenty of entertainment options. 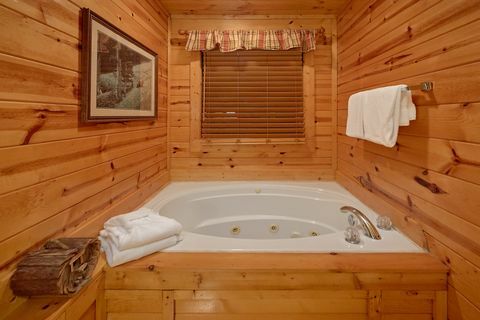 Going up to the 2nd level, the first of two bedrooms boasts an attractive king-size bed, in-room jacuzzi, television, and a full bath. 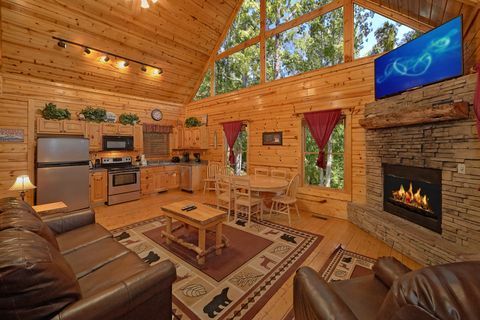 This level also houses a fully equipped kitchen, dining area, and a living room with sofa sleeper, gas log fireplace, television, and large picture windows letting in plenty of light. 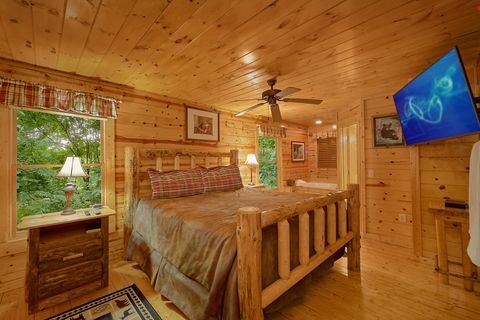 The 3rd level loft bedroom comes complete with queen-size bed and private full bath. 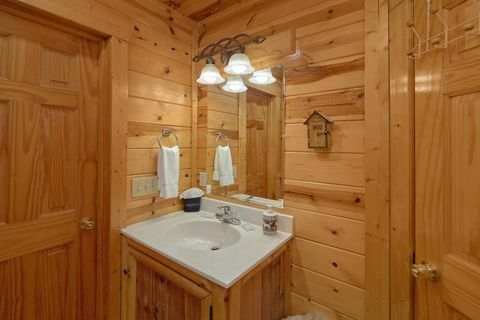 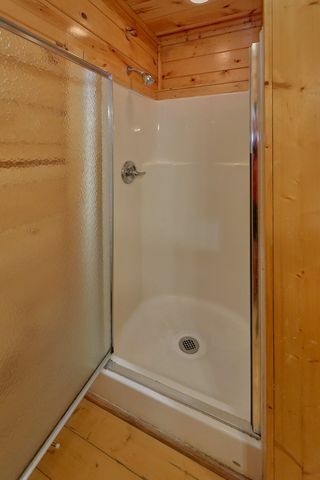 The mature forest trees of the Smokies surround your beautiful cabin between Gatlinburg and Pigeon Forge, creating hideaway perfect for enjoying the great outdoors. 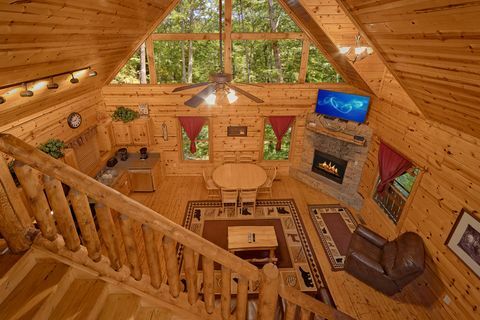 Host cookouts on the charcoal grill and relax on the porch with rockers, a porch swing, and, of course, the year-round, family-sized hot tub. 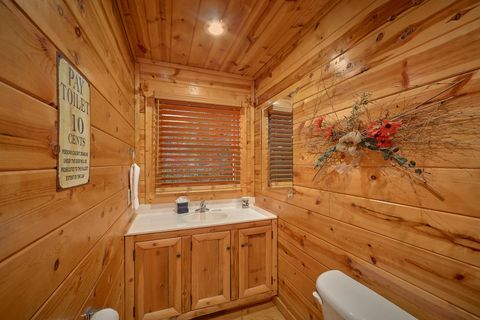 Come experience "Endless Joy" on vacation in your cabin in the Smoky Mountains. 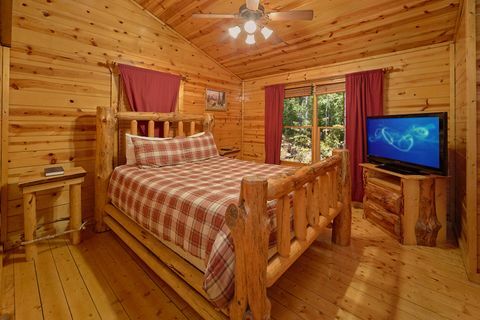 Book your cabin between Gatlinburg and Pigeon Forge online with Cabins USA Gatlinburg for your immediate Online Savings!